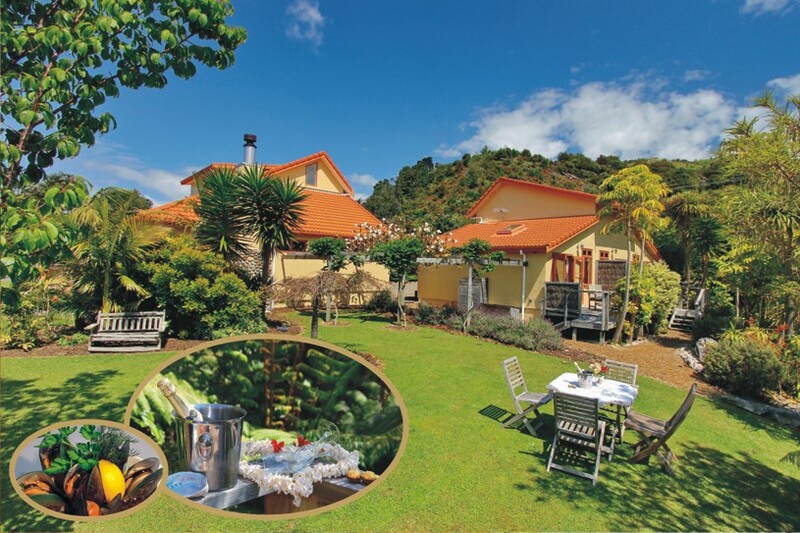 Just around the corner from Cathedral Cove and Hot Water Beach - the "Mussel Bed" is set amidst native bush, tropical gardens and streams. 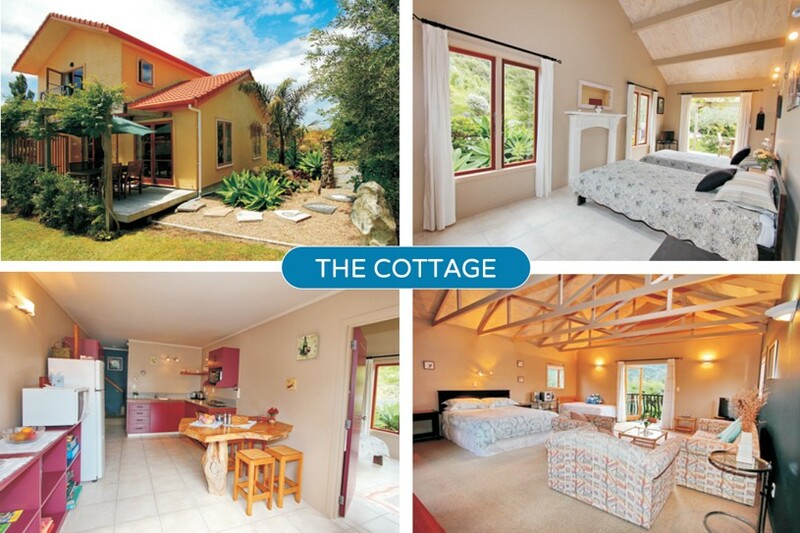 The unique passenger ferry to Whitianga is nearby and Cooks Beach is where kiwi's love to holiday - enjoy safe swimming and white, sandy beaches only a short walk away. 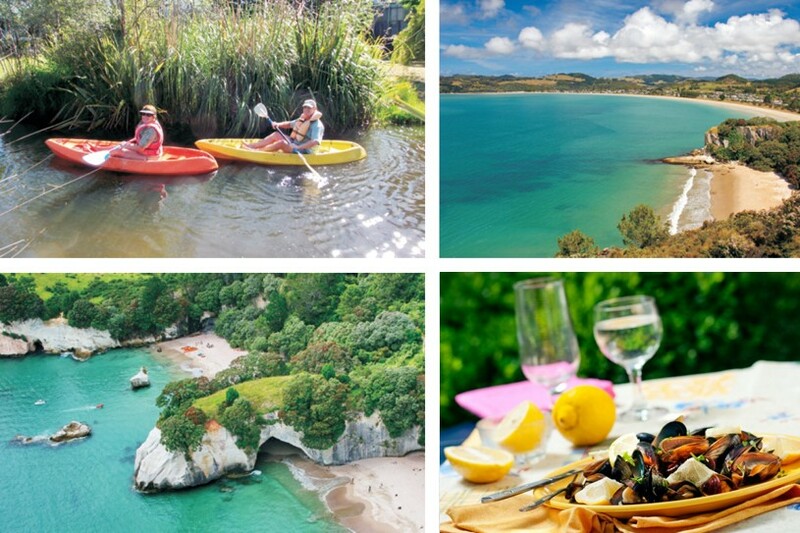 Kayak our stream & enjoy the natural bird habitat, exploring caves and walking on gorgeous Lonely Bay. 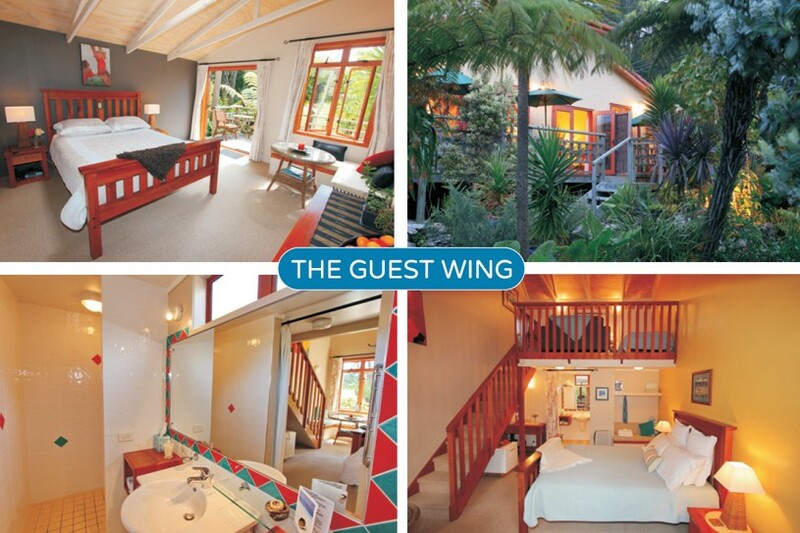 Our guest wing has 3 luxurious suites each with tiled ensuites and french doors opening on to private decks, FREE Wifi, tea & coffee facilities, fridge, TV/DVD, homebaking everyday, bathrobes & beach towels. A delicious gourmet breakfast is brought to you on a tray to enjoy on your deck or in our sunny garden. 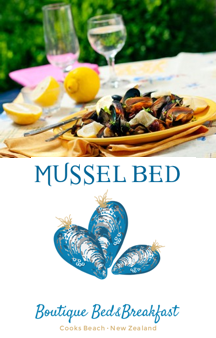 Mussel Bed Cottage is self-catering with a special breakfast hamper for the first night of stay - perfect for 2 couples travelling together or small family groups. 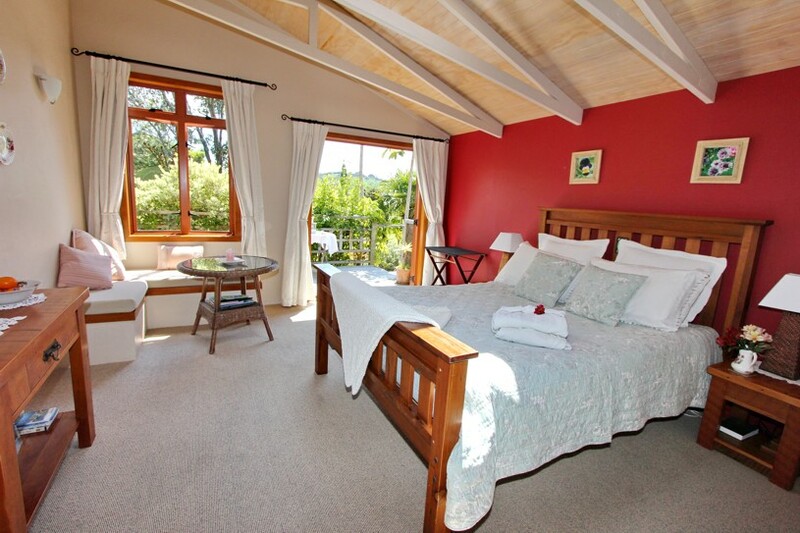 Andrea & Shane look forward to making your stay a special one! Tariff: Please refer to our website for rates and booking information.